These Vans Authentic skate shoes are available for Men & Women in Mix Checkers. The casual, low top profile of the canvas uppers features double stitched reinforcement for greater durability and increased longevity. A round, white lace winds its way up the Vans shoes through 5 pairs of metal eyelets, while the lace-up has a fold over trim that continues up and around the top line collar of the skate shoes. A Vans logo tag sits on the outside of the shoes, marking these Vans out as a genuine classic. Inside the Vans skate shoes, the have an off white canvas lining and padded insole bearing the Vans logo. 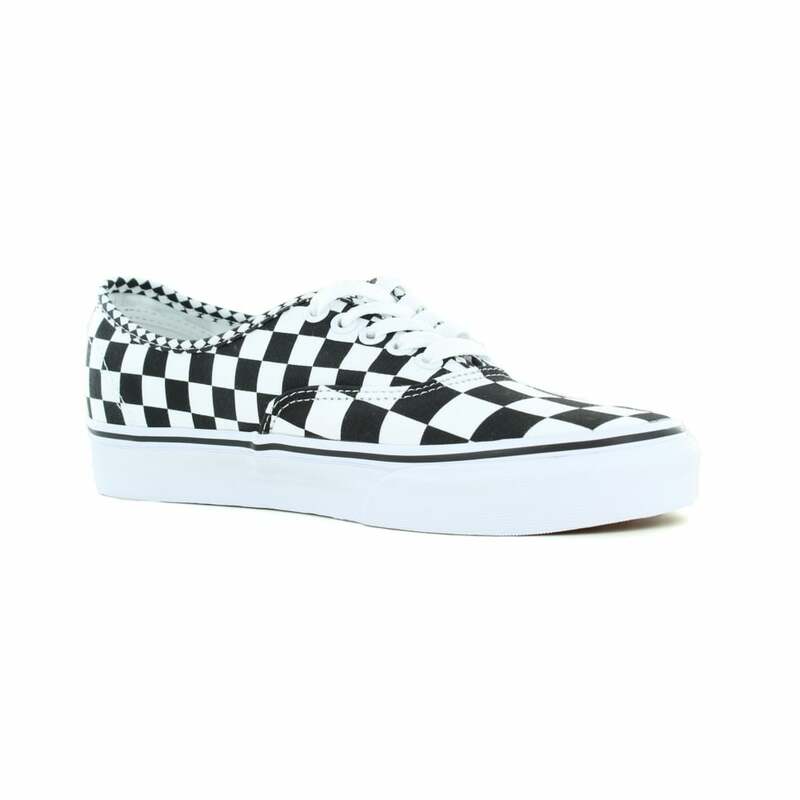 Buy the Vans VN0A38EMQ9B Authentic Unisex Canvas Skate Shoes - Mix Checkers at Scorpio Shoes.